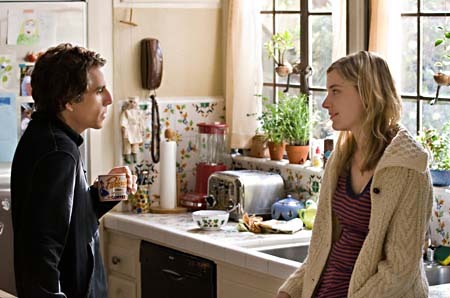 Greenberg is a slight film, but one entirely worth 90 minutes of your time and a nominee for best picture of the 2010 Independent Spirit Awards. Ben Stiller scales back his usual zaniness to play the titular part of a middle-aged former musician who has been released from a mental facility. The New Yorker decides to live in his brother's empty house in Los Angeles to "do nothing" for a while. Greta Gerwig plays Florence, who is taking care of the house and Mahler the dog while the family is vacationing in Vietnam. She is the reason this movie is impossible to stop watching. She falls almost immediately for Roger Greenberg, and their relationship goes through a series of hiccups that would typically spell the end of any affair if not for her duties at the house bringing her back again and again to the eccentric Greenberg. Gerwig complements Stiller perfectly. And this is actually one of Stiller's best-ever characters, although the movie as a whole doesn't measure up to his high-bar-setting classics Reality Bites, Happy Gilmore, There's Something About Mary, Meet the Parents, Keeping the Faith, The Royal Tenenbaums, Zoolander, Anchorman: The Legend of Ron Burgundy, and Tropic Thunder.